With world famous techno-clubs, quirky bars dreamed up by mad geniuses and a Späti on most corners, Berlin is definitely the place to be for a great night out (we speak from experience). At the heart of this lively city, Oranienburger Straße provides the thirsty and hungry with many options. Being in the centre of Berlin, it is easy to stumble across one too many generic and faceless establishments, but if you are looking for something more authentic and relaxed, we have just the spot for you! The new kid on the block is Kupfer Bar, an unassuming minimalist bar that sits on Oranienburger Straße 65. Kupfer (or copper in German) is the main design theme for the bar, down to the fabrics, furniture, logo design and even the various vessels your drinks arrive in. Out the back, you’ll find a hidden courtyard where guests can hide away from the crowds traipsing past. While it can be hard to find a reasonably priced cocktail in this area of Berlin, Kupfer Bar’s menu is not only affordable, but was put together by the staff and is basically a collection of what they like to drink. How can you argue with that? Our favourites (speaking from experience again) are the Hashtag Gin Cocktail, a delicious and easy drink to start the night with, and the Espresso Martini, a much tastier option to Club Mate that will keep you going for the rest of the party. 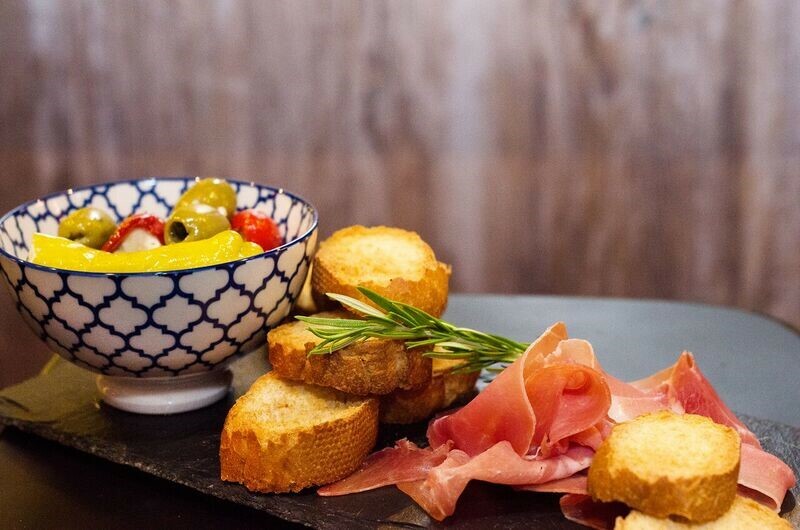 If you’re looking for something classy to nibble on while enjoying your cocktail, we enjoyed the Mediterranean inspired bar snacks (the juicy olives definitely live up to their name). However, if you are less interested in the cocktails and are more into the beers (as many people are when visiting Germany), Kupfer Bar also serves locally brewed BRLO beer on tap. 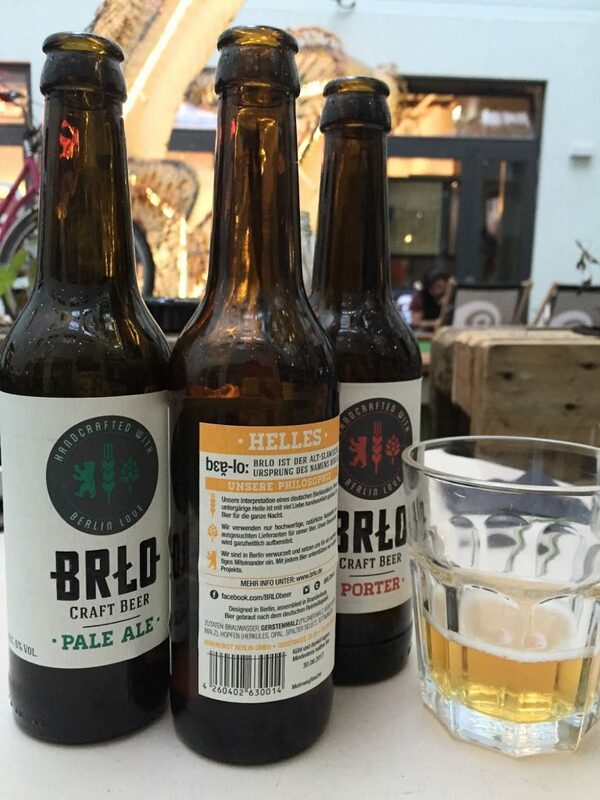 While some craft beer can be a bit… how do we put it… mature for our taste buds, BRLO is a company run by young people and is brewed to be drinkable. We aren’t beer experts but we’ve drunk enough to tell you that you definitely want to have a pint of their Pale Ale! 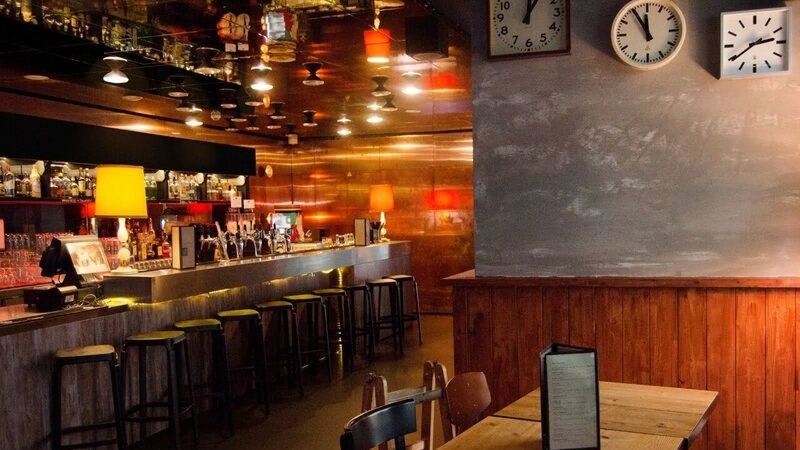 Kupfer Bar has recently become a bit of a favourite amongst much of the SANDEMANs family – it’s a pretty safe bet you’ll find at least one of us there on any given night of the week. If you decide to take full advantage of the surprising September sunshine and are looking to enjoy some after-work drinks, we’ll probably see you there. Kupfer Bar is open daily from 2pm – 2am. Private group bookings are available. Please visit their Facebook page for more details.